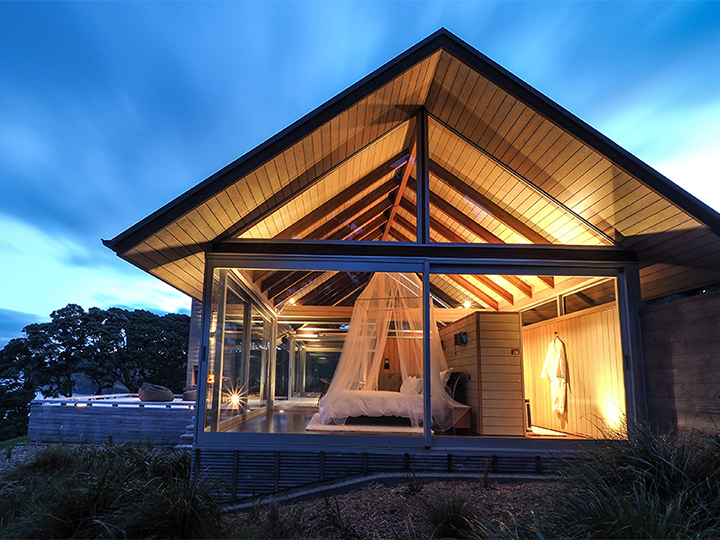 The Glasshouse is set at the end of the peninsula amongst ancient Pohutakawa trees and is exclusively set up for couples only. A stunning setting combined with stunning architecture – this place is very very special. For the ultimate family retreat, combine both Te Whara and The Glasshouse (Kauri Mountain Point) and the entire private peninsula is exclusively yours, with walking tracks and water access for fishing and swimming, and some of the best coastal scenery in New Zealand. This is a location you will not forget. Self-contained or full catering by private Chef – please enquire.